Kim Abeyta is a flutist and teacher from the Kansas City, Missouri area. She completed her Bachelor of Music degree in flute performance at the University of Missouri-Kansas City Conservatory of Music and Dance in 2017 where she studied with [Kim Abeyta] Mary Posses. While Studying at UMKC, she performed in the Conservatory’s Wind Ensemble and represented the flute studio in several master classes. Kim was also an active member of the Conservatory Student Association since 2013. In 2014, she served as Vice President of the Conservatory Flute Studio and in 2015-2017 served as the organization's President. Before moving to Cedar Falls to pursue her Master’s degree, Kim established herself as a respected flute teacher in the Kansas City area. She built her own private studio out of her home from 2010-2017, taught in local schools and at Meyer Music, a local music store. Kim is currently pursuing a Master of Music degree in flute performance from the University of Northern Iowa where she studies with Angelita Floyd and performs with the Northern Iowa Symphony Orchestra. Jason Andriano is a music education major from Waterloo, Iowa. 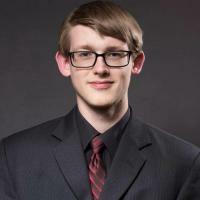 During his stay at UNI, Jason has performed with the Panther Marching Band, Northern Iowa Symphony Orchestra, Wind Ensemble, Jazz Panthers, and Biscotti Brass, a student formed brass quintet. He also performs as a trombone substitute in the Waterloo and Cedar Falls Municipal Bands. When free time is found, you can find Jason outside, usually on a Disk Golf course. Diana Blake graduated Osceola High School (Clarke Community) in 1959. 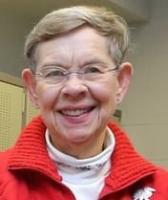 She received a Bachelor of Music Education degree from Drake University in 1963 and a Master of Music Education from Drake U. in 1965, and has done additional graduate work at The University of Michigan and The University of Northern Iowa. While completing her master’s degree, Blake taught lessons for the Des Moines Public Schools for two years. Her first contract job began in August 1965, at Waverly-Shell Rock Community Schools teaching 6th and 7th grade band. Over the course of 38 years, she taught band 5 through 8, junior high jazz band, lessons 5 - 12 (even taught a few bassoon lessons at Wartburg College), 9th and 10th grade band, and flags for the high school marching band. Blake’s longest assignment was 5th grade (beginners) and 8th grade band. ​Blake has been an IBA member forever! Blake received the Philip Sehmann Excellence In Teaching Award - Elementary Level in 1996 from NEIBA. Also from NEIBA the Karl King Distinguished Service Award - Active in 1994 and 2000 and the Kart King Distinguished Service Award - Retired in 2007. She was also awarded the W-SR Friend of Education in 2014 for working with high school and junior high students at festival and contest time. Over the course of Blake’s teaching years, she has directed several honor bands. Blake has directed the UNI New Horizons Band since May 2004. There are about 85 members (some of who are retired band directors who were her colleagues in NEIBA). As a performer, Blake has played clarinet in the Waterloo Municipal Band since 1983 and bassoon in the Cedar Falls Municipal Band since 1988. She can also be found teaching private oboe and bassoon lessons in her studio and enjoys preparing students for All-State auditions and solo festivals. Nathan Dickerson is a music education major from West Des Moines, Iowa. He has been a member of the UNI Wind Ensemble, Clarinet Ensemble, West African Drum Ensemble, Symphonic Band, and the Panther Marching Band. In his free time, Nathan enjoys fiddling with old audio equipment, watching movies, and hanging out with dogs. Mackenzie Dugger is a junior music education and flute performance major from Pella, Iowa. At UNI, she has been a member of the Wind Ensemble, Symphonic Band, Panther Marching Band, Northern Iowa Flute Choir, and Flute Loops flute quartet. She currently studies under Dr. Angeleita Floyd, and has also been a student of Dr. Claudia Ander​son. Ms. Dugger also maintains a small studio in her hometown during the summer. In her free time, Mackenzie enjoys watching movies, spending time with family and friends, and traveling. Andrey Floryanovich grew up in the Iowa City area where he attended Clear Creek Amana High School. He is currently a junior in the jazz studies program and has been involved in Jazz Band One, Wind Ensemble, Saxophone Quartet, and a jazz quintet called Night Mayor. Lexi Forstrom is a senior music education major from Cedar Rapids, Iowa. 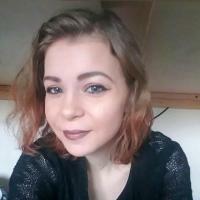 She has enjoyed her time at UNI and has been a member of the Wind Ensemble, Jazz Panthers, Jazz Band One, Panther Marching Band, and the GLAM Saxophone Quartet, among several smaller ensembles. She has also traveled to Minneapolis, Italy, and Cuba with the UNI School of Music. Ms. Forstrom currently studies under Dr. Ann Bradfield. . In her free time, she enjoys doing crafts, eating donuts, and traveling. Administrator of the UNI Community Music School, Heather Hamilton, began working at UNI in 2016. Originally from Moline, IL, music performance and education has always been an important part of Heather’s life. With two parents that worked as musicians and educators, she could not help but follow in their footsteps! Heather holds a Master of Music Education degree with an emphasis in Clarinet Pedagogy from the University of Wisconsin – Stevens Point. Her capstone project focused on how to utilize the National Standards of Music and Comprehensive Musicianship in beginning clarinet instruction. She graduated from Western Illinois University with a Clarinet Performance degree. Heather’s primary clarinet instructors include Andrea Splittberger-Rosen, Molly Paccione, Eric Ginsberg, and Himie Voxman. As a clarinetist, Heather has had the pleasure of performing in a variety of groups, including playing professionally with the Central Wisconsin Symphony Orchestra, the Quad City Opera Company, and the Quad City Symphony. She also performed with the Central Kentucky Concert Band, which is recognized as the premier adult concert band in the Commonwealth. Heather has taught clarinet for several years, in Illinois, Wisconsin, Kentucky, and now Iowa. She was an adjunct faculty member at Black Hawk College and was a faculty instructor at the UW-Stevens Point, Arts and Culture Outreach program. Heather has worked in music retail, and managed various music lesson studios. Her proudest achievements come from seeing her students succeed, not only as musicians, but to see them grow up to be some pretty special people. Melody Kosobucki received her Bachelor of Music in Piano Performance degree from the University of Wisconsin-Superior and earned her Master of Music degree in Piano Performance and Pedagogy from the University of Northern Iowa. Active as a performer and instructor of piano, she frequently appears on stage as both a solo and collaborative performer. Melody spent time abroad teaching in Cajamarca and Polloc, Peru and currently serves as an instructor of piano for the Community Music School at UNI. This year she will be providing group piano classes for UNI's School of Music. Michelle Kostielney is a Secretary II in the Russell Hall office and works with the Community Music School. She graduated from Iowa State University with her B.S. in Public Relations. Born and raised in the Quad Cities, she has been slowly making her way around Iowa, and now resides in the Cedar Valley area with her dog Jericho and two cats, Brutus and Caesar. When she is not in the office, you can usually find her scoping photography locations or planning her next adventure. Johnathon Kruger is a sophomore, music education major from Waverly-Shell Rock, Iowa. Johnathon is involved with Panther Marching Band, Symphonic Band, joining Phi Mu Alpha Sinfonia, and playing in a brass quintet in the spring semesters. He is a music section leader this season for marching band and has a real passion for teaching music. In the spring semester of 2018 he successfully completed his level 1 student teaching at Hansen Elementary school as well. Johnathon has plans to go on the PMB Ireland trip in the spring of 2019. Madison Mohr is an instrumental music education major. During her time at UNI, she has performed with the Wind Ensemble, Northern Iowa Symphony Orchestra, Panther Marching Band, UNI Horn Choir, and Tetracor Horn Quartet. Madison also teaches a small studio of horn players. When not in classes or rehearsals, she enjoys spending time with friends and family, watching movies, painting, and baking. Kayla Nissen is a sophomore instrumental music education major from Dike, IA. At UNI, Kayla has been involved in pep band, panther marching band, women's chorus, and summer orientation staff. In her free time, Kayla likes to spend time with her family and friends, go on road trips, and watch musicals. Kelly Noltner, soprano, earned her M.M. in Vocal Performance from The University of Northern Iowa (UNI) in 2017 as well as an Artist Diploma Certificate in December of 2018. Kelly earned her B.M. degree at the University of Wisconsin-Eau Claire (UWEC) in 2015. Recently, Kelly performed the role of Jackie Onassis in Scenes from "Jackie O" with UNI Opera. She has also performed as Nora in "Riders to the Sea (UNI), Clara in “Signor Deluso” (UNI), The Countess in "The Marriage of Figaro" (UWEC), Mama/Teacup/Dragonfly in "The Bewitched Child" with the Midwest Institute of Opera (MIO), the Midwest premiere of Terentia in "The Beautiful Bridegroom" (MIO), Rowan in "The Little Sweep" (UWEC), and Ida in "Die Fledermaus" (UWEC). Kelly has also performed partial roles as the title role in “Suor Angelica” (UNI), Fiordiligi in “Così fan tutte” (UNI), Adina in “L’elisir d’amore” (UWEC), and Donna Elvira in “Don Giovanni” (UNI). Kelly has performed as a featured soloist with the UWEC Symphonic Choir and Symphony Orchestra in "Salisbury Vespers” by Chilcott as well as in Bernstein’s “Chichester Psalms.” Kelly is a frequent recitalist and currently is an instructor of voice at Wartburg College. "Trained as a classical singer, I believe in teaching a strong technical foundation that facilitates the ability to achieve musical and artistic expression. My goal is to help students advance their ability to create a healthy production of sound, or "technique," while guiding them through the elements of the singing gesture encompassing language, style, and interpretation." Kristin Rasmussen is a double major in Oboe Performance and Music history. 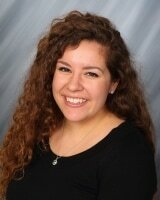 She has performed with the UNI Wind Ensemble, Northern Iowa Symphony Orchestra, and the Panther Marching Band. When she's not playing Oboe, Kristin is probably reading a book somewhere. 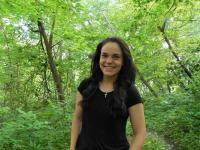 Brenda Sevcik is a student at UNI studying Music Education and Performance. So far at UNI, Brenda has been a member of the Panther Marching Band, Wind Ensemble, Jazz Panthers, and the Inglorious Jazzers. She enjoys playing trumpet, organ, and piano at area churches on the weekends. Brenda also enjoys running, baking cookies, and visiting her family during her free time. Michelle Swanson is an instructor of Music Education at the University of Northern Iowa. Mrs. Swanson teaches Elementary General Music Methods, Music for Childhood Education, Soundscapes, and also supervises student teachers in elementary general music. She is the faculty advisor for Sigma Alpha Iota. Swanson has taught at UNI for 13 years. Dr. Swanson also conducts the UNI Children's Choir. This ensemble is a part of the Community Music School at UNI and is comprised of 90 elementary and middle school students from throughout the Cedar Valley. UNI Music Education students work with the group to observe and practice many teaching methods and skills. The UNICC performs annual concerts at the end of each spring and fall semester. Swanson received her B.M.E. M.M., and Doctorate in Education degrees from U.N.I. She has taught elementary general music for 20 years and has directed numerous elementary, middle school, high school and adult choirs. Mrs. Swanson was awarded a Gold Star Teaching Award in 1996. Ben Thessen is a music education major from Indianola, Iowa. 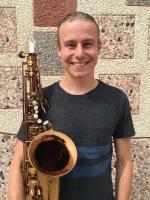 During his time at UNI, Ben has performed with UNI Jazz Band III and Jazz Band II, the UNI Concert Band and UNI Symphonic Band, The Panther Marching Band, as well as various student led chamber ensembles. Ben has also performed in numerous honor bands and was a member of the Des Moines Youth Symphony for several years. In addition to his studies at UNI, Ben also marches Drum Corps, and is a veteran of River City Rhythm Drum and Bugle Corps, and volunteers in pit orchestras for numerous community theater projects. During his free time, Ben enjoys composing and arranging music, as well as reading and rock climbing. Tommy Truelsen is from Cedar Falls, IA. He is pursuing a B.A. in Music and Technology with a Marketing minor. Tommy grew up taking lessons through the Community Music School and singing with the UNI Children's Choir. He is very excited to return to CMS as a student instructor. During his time at UNI, Tommy has been involved in the Panther Marching Band, UNI Singers, Concert Chorale, the West African Drum and Dance Ensemble, and Theatre UNI. He is currently an active member with Cantorei and the UNI Guild of Carillonneurs. He has studied piano with Dr. Vakhtang Kodanashvili, Dr. Dmitri Vorobiev, and Nicole Green. He currently studies with Dr. Robin Guy and Dr. Michael Conrad. In his free time, Tommy enjoys spending time with friends, cooking, and watching Netflix. Mack Vos is a Music Technology Major at UNI, and this is his first year teaching through CMS. 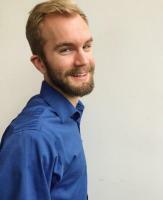 He has worked for two years at Camp Musicmania, one year at the UNI percussion camp, and for one year as the frontline instructor at Waterloo East High School. He is also involved on campus. He was in the Panther Marching Band for two years, and was the center/lead snare player his second year. It is also his third year as a part of the UNI- Percussive Arts Society on campus, where he currently holds the position of Vice President in that organization.